Nifty Sensex close on Negative trend , nifty down 37 point at 8029 and Sensex down 71 point at 26710, midcap ,psu bank and metal share recover loss on closing session. Bank share gainers: SBI, union bank , oriental bank, andhra bank. Finance sector showing deficit for the updates as nifty and sensex fluctuates rapidly so it gets tough to them to provide accurate Commodity Tips for the same. Crude Oil seems to be positive and is expected to move up for short term. COMEX Gold seems to be highly volatile and is trading in a new extended range of 1191-1208. If Gold gives day-wise closing beyond this range than trend could set in. For more Stock Trading tips visit here? I like the way you attached all the information about share market. Thank you for giving me a chance for post. • Titagarh Wagons gets orders for const of 2 Fuel Barges for Indian Navy. 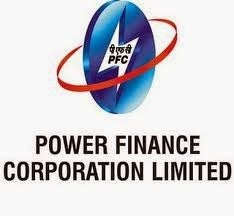 • 1,050 cr hit for Rel Power Sasan UMPP post SC verdict. I read each line of article, well informed about nifty. Looking for more useful post and really appreciate for this wonderful work. Can you provide Equity Tips service.